One of the proudest moments in my life was graduating with my master’s in education administration from Oglala Lakota College and receiving an eagle feather for achieving a lifelong dream. That was until 2012, when our oldest son graduated from high school, and my wife and I had the honor of tying his eagle feather on him. And we are looking forward to proudly supporting our youngest son when he graduates from high school in 2017. Eagles are known by many tribes to be a messenger to the Creator, symbolizing bravery, respect, personal achievement and honor. Eagles are protected under two federal laws: the Bald and Golden Eagle Protection Act and the Migratory Bird Treaty Act. These prohibit the possession, use and sale of eagle feathers and parts, with an explicit exception for American Indians who are enrolled members of federally recognized tribes. American Indian tribal members may wear feathers legally in their possession or utilized to create religious or ceremonial items for personal or tribal use. This month, thousands of American Indian students across the country are graduating from high school and college, fulfilling a dream for themselves and an honor for their families. And with only 49 percent of Native students graduating from high school nationwide, this is a moment to be celebrated and cherished. Honoring our graduating Native students who attend the 187 tribal schools across 23 states has been a longstanding cultural tradition. Native graduates receive their eagle feathers and plumes and proudly wear them on their graduation caps or tied in their hair. This is a part of who we are and continues to affirm our identity and connection to our ancestry and culture. Unfortunately, this cultural adornment isn’t always permitted for American Indian students who attend public schools off the reservation, as was the case for two students in Oklahoma and Washington. Some Native students graduating from schools off the reservation face opposition and resistance from school districts and administration. Many schools state that they have “no adornment” dress codes or policies that prohibit Native students from donning their feather. Some districts claim that “if we allow one group or student to ‘break tradition,’ then we have to let all students behave in the same manner,” and others have even instructed Native graduates to hide their feathers or risk not taking part in the graduation commencement ceremonies. It is disheartening to see schools and districts prohibit our children from celebrating their academic success through sacred cultural traditions. American Indian tribes and members are indigenous inhabitants of this country. These traditions date back hundreds of years, prior to European settlement and American colonization and governance. Treaties were established, many unwillingly, between our sovereign nations and the federal government, and in return for the taking and seizing of land and resources, tribes were made promises of education for their children, access to health care and infrastructure within tribal lands. Tribal sovereignty is still honored and respected today under the U.S. Constitution and executive and congressional actions and Native students’ unique cultural identity and access to quality programs within public education is protected under the ESEA’s Title VII Indian Education Act. I am not suggesting that students undermine school policy and risk not graduating or not walking with their peers to receive their diploma. Rather I urge communities nationwide to come together, such as the citizens of Grand Forks, North Dakota, who supported student rights and encouraged the Grand Forks school district to change its graduation dress code. It is my hope that as students from diverse backgrounds and experiences turn their tassels to attain a career or pursue higher education, school and districts will practice cultural sensitivity and embrace customs and sacred traditions from communities and cultures represented amongst their student populations. We can help support all students and families in navigating this important step and honor in their lives through petition by writing, calling or attending meetings with schools, district leaders and board members to ensure graduation policies are inclusive of diverse cultures and traditions. Together we can make sure that our students’ cultural identities are protected and honored. Robert Cook (Oglala Lakota) is the director of Teach For America’s Native Alliance Initiative, where he works in partnership with tribal communities in Hawaii, New Mexico, Oklahoma, Washington and South Dakota to improve outcomes for Native students. 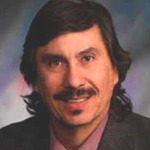 He resides in Summerset, South Dakota, and is a former K-12 administrator, an award-winning teacher and a board member of the National Indian Education Association.